By chanakya	Advanced SEO Techniques, SEO Comments Off on How you should I mprove your SEO in 2019 ? Search engine priority are changing so does the the SEO technique to get good rank in search engines. So what SEO strategy you should adopt in order to improve your ranking in 2019. User intent is much talked about topic in recent months before you write any content you should know for whom you are writing the content and what users expect after landing to your web page. If a user is not satisfied with your content then its certain that your content is not going to rank high. In 2019, So more than doing keyword analysis and stuffing its important for your SEO to comprehensively answers questions your audience is asking via a search query. Google and other major search engine have changed their approach towards mobile first many of the webmasters have received a mail informing the same. And this is right thing to do in a part of a search engine as our most of the traffic (avg. 60% ) comes from a mobile device and its growing with a faster pace now. Page speed is always looked as non important thing in SEO but not anymore as search engine are focusing more mobile indexing first , your web page speed is one of the major aspect to look into. Google itself has incorporated page load speed as a ranking factor. Which means that yes, if your site is loading a bit too slow, you’ll lose rank. As a result, your content marketing efforts won’t reach as many potential customers. Do yourself a favor: run your site through Google’s PageSpeed Insights tool to make sure that it loads quickly. 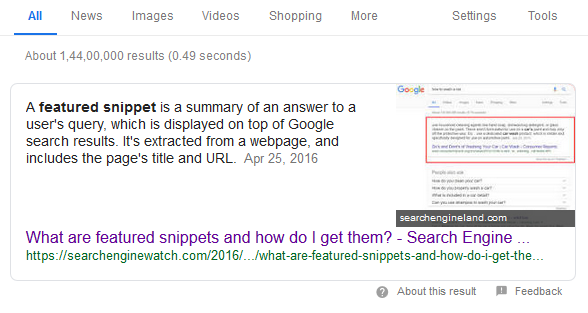 Snippet bait – is a 40-60 word block of content specifically designed to rank in the Featured Snippet spot.Why 40-60 words?Well, SEMrush analyzed nearly 7 million Featured Snippets. And they found that the most Featured Snippets are 40-60 words long. From mobile first we are on way to enter a AI first world , Structured data gives Google information about the content that it might not have learned with its standard crawling algorithm . If none of your content is using markup, it’s likely that your rank will suffer . ” Contextual relationships between topics and behaviors, supported by structured markup, is the critical trend we need to start understanding, testing, and implementing for 2019″ . Okay, Google these two words are going to dominate the next phase of search engines . 41% of adults perform at least one voice search every day and its growing exponentially . Research shows that top 3 results are tend to come up in voice search result, so try to be at the top three result of your particular keyword in which your wish to rank in voice search. Try to include question and answers in your content especially FAQ type of content always have a best chance to rank good in voice search results. And make sure your content is up to date and mobile friendly . Content is still the king try to make original content to enrich the information of your visitors . The ability to have a deep arsenal of proven content will benefit a website from a variety of standpoints. Including internal linking which helps Google learn more about the new and old content you’ve produced. In 2019 you need to understand the user intent and accordingly make a original content without trying too much on keyword stuffing and other stuff . Write a long article- in a research its been proven that longer article which is more then 1000 keyword are tend to rank well in comparison with the shorter content . Google also focuses on author and branding of a website so make sure you are getting quality signals from other sites and organic backlinks to rank high on search result. Other then the content try to get editorial links because these editorial back links are those organic link which you earn because your content is so awesome. They’re not links you get from guest-posts or because you requested them from another webmaster. Thats why Google and other search engine loves that. Invest your time and energy on your websites technical SE part, it is still in 2019 very relevant part of SEO, keep your site up to date, fevicon ready , Keep your title, meta tags , alt tag on place to make crawler understand whats your page is all about. 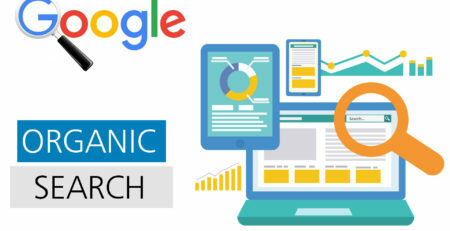 If I talk about the holistic picture of SEO techniques for 2019, you should give more respect to your customer who is indeed customers of search engines 1st. You need to make their journey more awesome in terms of content, technology, and speed. If you add value to your visitors then you are surely going to get a great result in this year.